It is a worldwide phenomenon that rebels against these obligations that eventually take control of our lives, preventing us from enjoying such simple pleasures as a casual meal with family or friends, a walk on the beach or mundane activities that restore our mental health, such as reading, painting or making things with our hands. We can trace the origins of this approach to life back to Italy in the 1980s, when a group of people which included the journalist Carlo Petrini concluded that the proliferation of junk food and fast food chains were becoming a threat to the Mediterranean diet. They therefore decided to champion the traditional food of yesteryear, which they christened under the name of slow food. The aims of the slow food movement do not shirk these ties and responsibilities, but respect basic aspects such as our personal communications, friendships, our partners and family members, our food and relaxation. It’s about finding a balance, a point half-way between stress and unwinding, work and leisure, urgency and calm. You may want to start living the slow life, but have no idea how to do it, or you may simply find it hard to switch off, even for a few days. 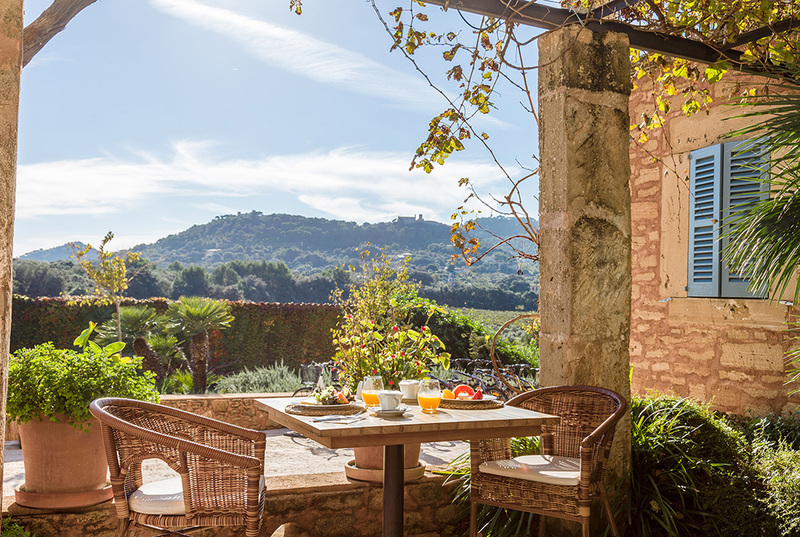 If this is your case, we have the ideal remedy: spend a few different days in total relaxation at Predi Son Jaumell rural hotel, in Capdepera (Mallorca): a top-class hotel that has reinvented the idea of rural accommodation. Our rooms are much more than just a comfortable place where you can spend the night. We have taken care of the smallest details to ensure that they are an oasis of calm, comfort and exclusiveness: with a hydro-massage bath, rain showers and original decorations that give each room its own personality. The arrangement and design of the common areas: gardens, terraces, pools… have been analysed and studied to ensure that our clients enjoy unique and gratifying experiences dominated by relaxation, calm, contact with a natural environment far from the stress of city life and the usual tourist resorts. Our food is one of our strong points and our restaurant, run by the young but famed Mallorcan chef Andreu Genestra, who has already earned one Michelin star, is a place where you can discover the pleasure of unhurried eating, taking as much time as you want to savour and make the most of an exquisite variety of flavours and textures. Free yourself from stress and routines. It is time to start your slow life in an ideal setting, to appreciate all its benefits.